Thames & Hudson Inc, 1996. Hardcover. 300 x 245 mm. Brand New Book with Free Worldwide Delivery. The Mbuti people, who live in the Ituri rainforest of northeastern Zaire, are one of the few remaining hunter-gatherer cultures in the world. Since 3500 BC they have been famed for their rich arts of music and dancing, but until recently the barkcloth drawings and paintings originally made by the women as loincloths for ceremonies and dances have been virtually unknown in the west. 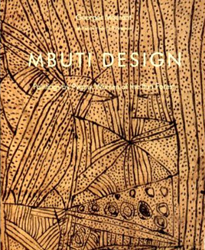 The qualities of these drawings and their reflection of the Mbuti people's way of life, are explored and illustrated in this volume. The drawings are closely analyzed, examined both thematically and aesthetically, and the wider influence of African forager art forms on contemporary world art is discussed.